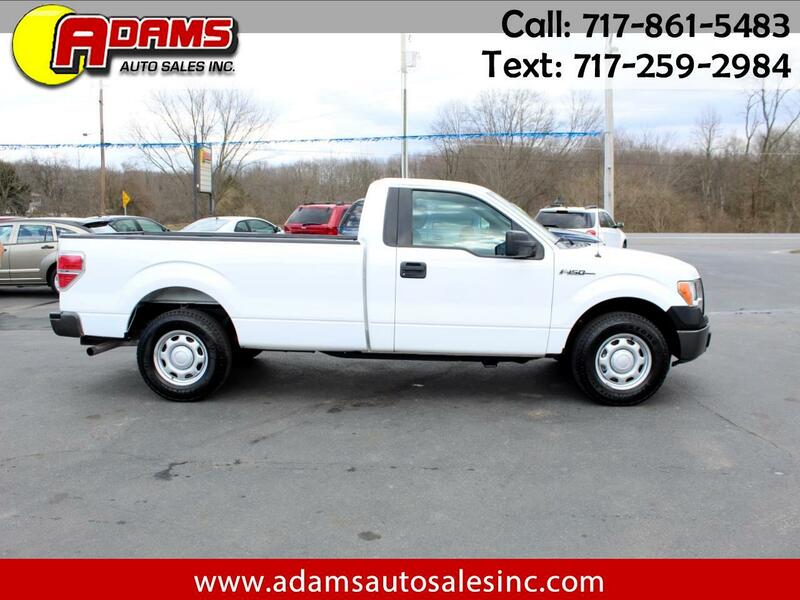 Used 2011 Ford F-150 2WD Reg Cab 145" XLT for Sale in Lebanon PA 17046 Adams Auto Sales Inc.
***PRICE REDUCED*** This 2011 Ford F150 Regular Cab XL with 8 ft bed is a must see. It is equipped with a V8 5.0 liter engine and an automatic transmission. It has a bed liner, towing package and steel wheels. Only 125,521 original miles. Brand new inspection and emissions, good thru March of 2020. Sold as-is to keep the cost down but a warranty can be purchased at an additional cost. Ask a salesman for more details. Ask a salesman for more details. Free Carfax report is available. Hurry in and take this work truck for a test drive.